We take pride in providing the highest quality medical and surgical care for our clients. Our Doctors and staff provide your pets with the best medical treatment possible in a humane, compassionate, and caring environment. We strive to provide care that is most beneficial to pets and their owners. In many cases this means providing services in the comfort of your own home. Crossgates Veterinary Clinic offers modern and safe ultrasonic technology with state of the art dental radiographs to clean each tooth thoroughly--above and below the gum line. Our Boarding Facility offers indoor, climate controlled lodging. Crossgates Veterinary Clinic's special, cleansing baths remove dirt, debris and that doggie pet odor – your pet will feel fresh and revitalized. Crossgates Veterinary Clinic strives to prevent illness whenever possible. The time and effort invested in Wellness programs has rewards for both pets and owners. 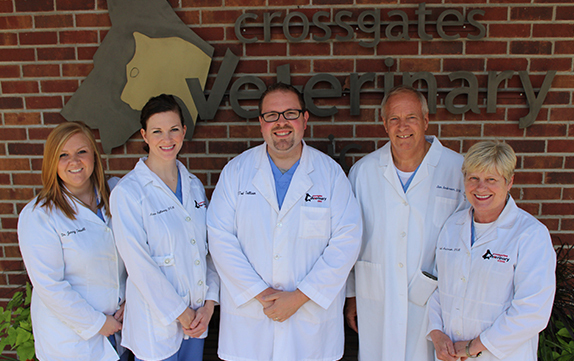 Crossgates Veterinary Clinic, located at 5544 Hwy 80 East in Pearl, Mississippi (in front of the Pearl/Brandon Walmart), provides the highest quality medical and surgical care for our clientele in a humane, compassionate, and caring environment. We have been serving the Brandon, Pearl, Rankin County, and greater Jackson area since 1978. 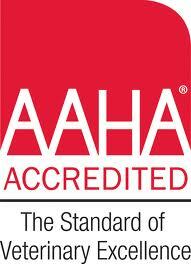 We are a full service animal hospital and veterinary clinic and pride ourselves as being one of the only clinics in the state that is AAHA-Accredited. This higher standard of excellence is a priority for us. We want to not only be a good vet clinic, but the best vet clinic in the area. Our veterinarians, Dr. Todd Sullivan, Dr. Jim Anderson, Dr. Gail Anderson, Dr. Anne Holloway and Dr. Jenny Sowell, are some of the most caring and knowledgeable animal doctors in the industry. They work together to always provide the best medical care for our patients by remaining up-to-date in their veterinary knowledge, continually striving to treat your pets as we would treat our own, with the highest quality care. Come by and visit us and see the difference!